Dakine wants you to bring the party no matter where you go. 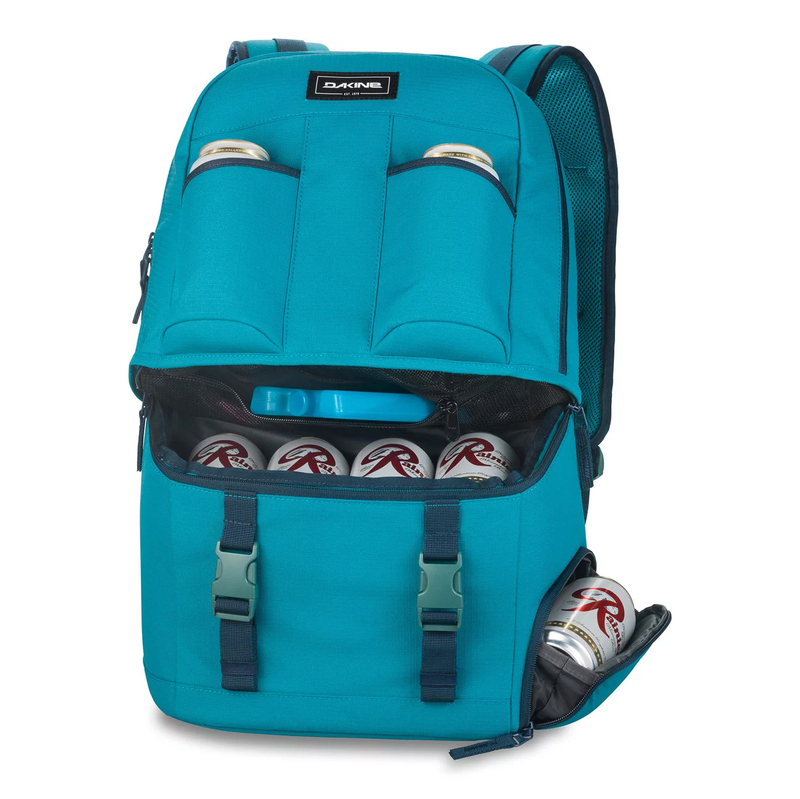 Not everyone approves of the party lifestyle so this pack allows you bring your brews incognito. The pack features a large insulated cooler with a zippered mesh pocket that is perfect for holding an ice-pack so your beers say nice and chilled. The roomy upper pack holds all your party essentials and the pack also features two external koozies and a small fleece pocket for your sunglasses. External straps were also incorporated into the pack to store a rolled-up picnic blanket. To wrap it all together, a stealth integrated bottle opener is there to assist you in all your partying needs. How many cans does it fit?